Model T Ford Forum: New-Photo- In front of the Mercantile. New-Photo- In front of the Mercantile. 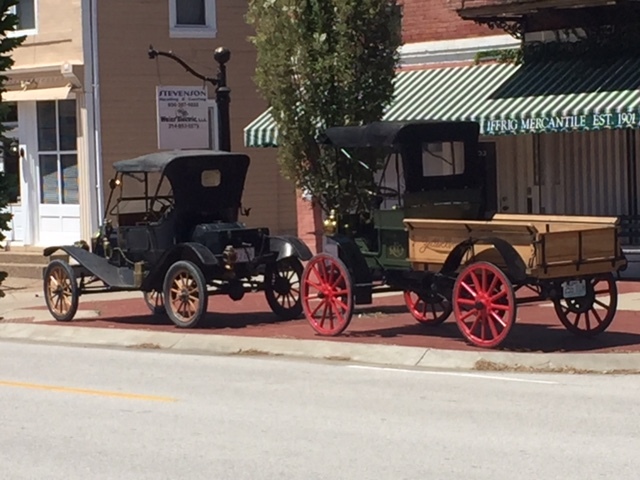 Model T Ford Forum: Forum 2018: New-Photo- In front of the Mercantile. My friend Jim Kraut was by today and gave me this photo he took. It is my car and his 1912 REO truck. He just got home this week from the REO convention and wanted to take a picture before he put the truck away. Steve, see what you can do with this one.